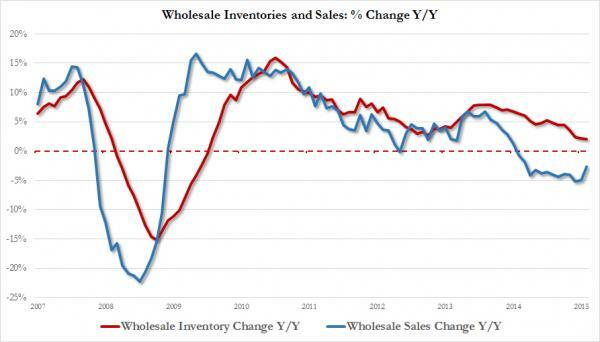 Worst.Case.Scenario. 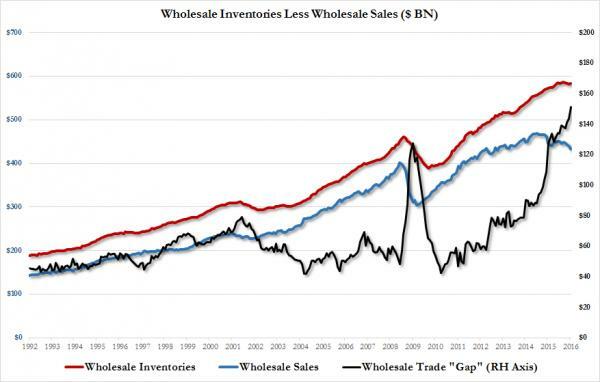 In 24 years, the ratio of wholesale inventories to sales has only been higher than the current 1.35x once - at the peak of the recession in the last financial crisis. 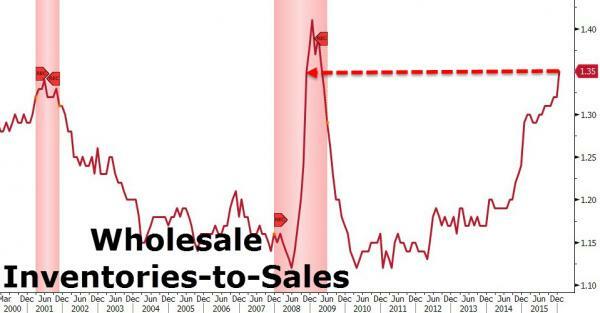 Wholesale sales tumbled 1.3% MoM (worse than the -0.3% exp) and inventories rose 0.3% MoM while expectations were for a drop of 0.1% (inventories over sales difference rose from $143.6BN to $151.2BN in one month, a new record high.) 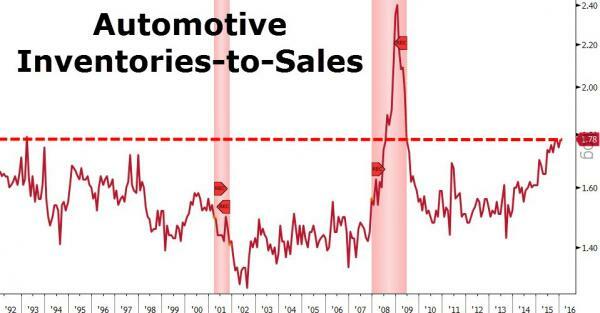 And finally, automotive inventories rose to 1.78x sales - the highest since the crisis.